This book was awesome! Talk about a thrill from beginning to end! A story of two sets of twins, one identical and one fraternal set caught up in a web of lies, lust, love, friendship, betrayal, delusion….I didn’t know who to trust, who to blame, who’s crazy, who’s really who they say they are? It’s hard to review without giving any spoilers (I won’t) but this was an insane story that kept me on the edge of my seat the entire time. 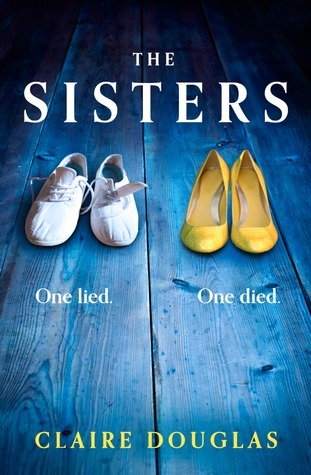 Abi’s identical twin sister Lucy died in a car accident and Abi was driving. Abi lives with survivor’s guilt and she is pretty unstable. She meets Bea, who has a fraternal twin, Ben. Strangely, Bea looks just like Abi, who obviously would look like the dead twin, Lucy, and Abi is drawn to Bea. Ben and Bea live in a swanky house and seem very well off, but really weird, and they’re keeping a secret. When suspicious things start happening, who’s to blame? Is Abi so unstable she’s making things up, or is it the work of Bea, trying to lead Abi to think she’s delusional? I didn’t figure out the huge secret until the moment it was revealed! And that ending was CRAZY!! I think there should be a sequel for this one! This was such a fun, heartwarming story! 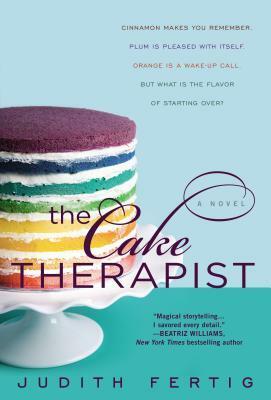 Alternating between the mid 1900’s and today, The Cake Therapist tells the story of Claire “Neely” O’Neil, a baker with a penchant for sensing emotion through smells and flavors, and the Habig sisters-young, poor girls living in the 40’s. The flashbacks were confusing at times but once you saw how the two lives were connected it was perfect. Bad things happened in each of the time settings, and it was told in a way my heart ached, but the joy Neely gets from baking and “reading” people brought life and love to the novel. I love the imagery and emotions Fertig evokes with her storytelling. Neely has great friends and I loved how their relationships played out in this book. One of my favorite scenes was a cake tasting scene between a couple and the woman had a secret that Neely could sense through flavor-salt. As she added salt to each of the cupcakes, the woman finally revealed her secret. The ending was incredible! i did not have it figured out until the last moment, but the connection between the 40’s and present day coming together was great. It was such a sweet novel that shows how food can conjure up memories and mend friendships and relationships. If you enjoy magical realism, I recommend this one! 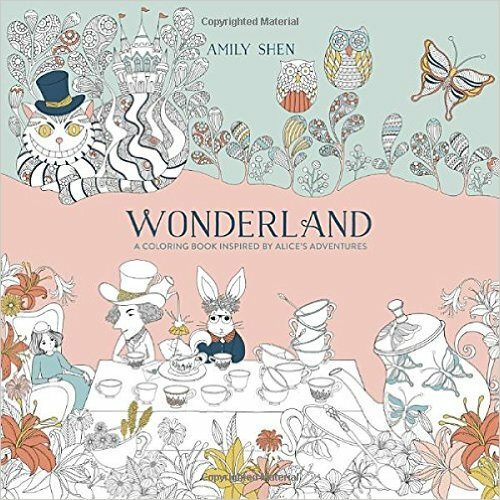 I am obsessed with the adult coloring books as of late, and I also love Alice in Wonderland so I had to request this! It’s a very nice, detailed, beautifully artistic coloring book with narrative strewn in as well. I’ve only colored in it with thin tipped crayola markers but am going to try colored pencils soon. The markers don’t bleed but for some detailing they are a little too thick. Overall, if you love coloring and Alice, I highly recommend this! I received this coloring book via Blogging for Books in exchange for my honest review! I don’t have adequate words to write this review. Everyone needs to read it. Yes, it deals with the horrors of WWII, the young teen boys fashioned into soldiers for Hitler’s army, the young girls raped and the senseless killings, constant fear. But it’s more than that- this novel is written in such a beautiful way. It’s not grotesque. 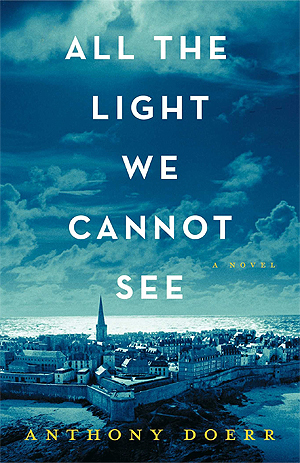 It tells the story of a blind French girl, a German orphan training for the Nazis, radio broadcasts of a Professor’s teachings, a cursed gem, and how they eventually converge. Doerr’s writing is magnificent, flowing, descriptive, breathtaking. I flagged so many moving passages- one of my favorite lines, Open your eyes and see what you can with them before they close forever has so many meanings in this novel. It’s repeated frequently, it was a line from the professor’s broadcasts that Werner and his sister Jutta would hear at night. Marie-Laure is blind yet she sees the world and all its beauty even so. Werner, a brilliant young man, has to keep his eyes set on sights of the war and finding traitors, but his eyes aren’t fully open to the other aspects of his life. This is a long book and not one I would want to breeze through reading. It took me almost a month to read it because it’s a book I wanted to take my time with, mulling over every line, because it was so emotionally captivating.